Celebrate Halloween with a neighborhood block party featuring boo-riffic treats. Between the candy and the costumes, it's no wonder that kids love Halloween. Not only do they get oodles of sweets, but they get to spend the day as an alter-ego, be it princess, ghost, or superhero. However, it's often over too fast! 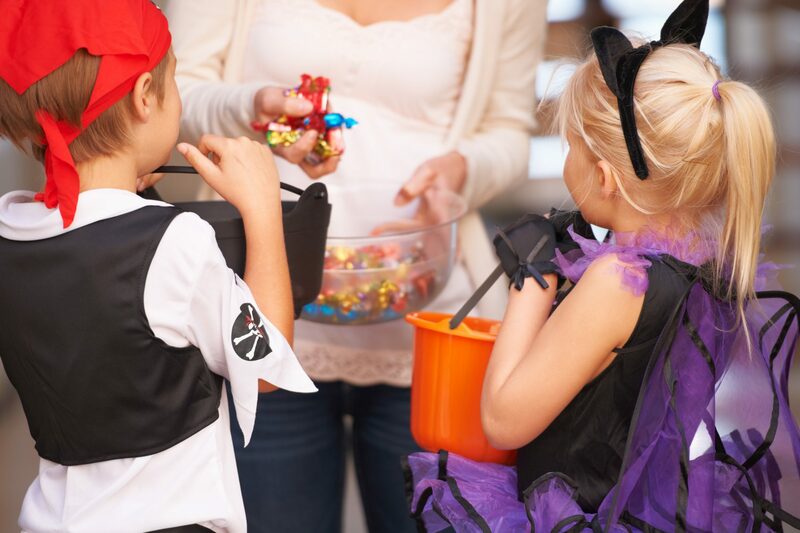 By hosting a block party, your kids can revel in Halloween's fun for more than just a couple of hours. When Halloween falls on a weekend, a block party is the perfect afternoon activity to get kids geared up for a night of trick-or-treating. 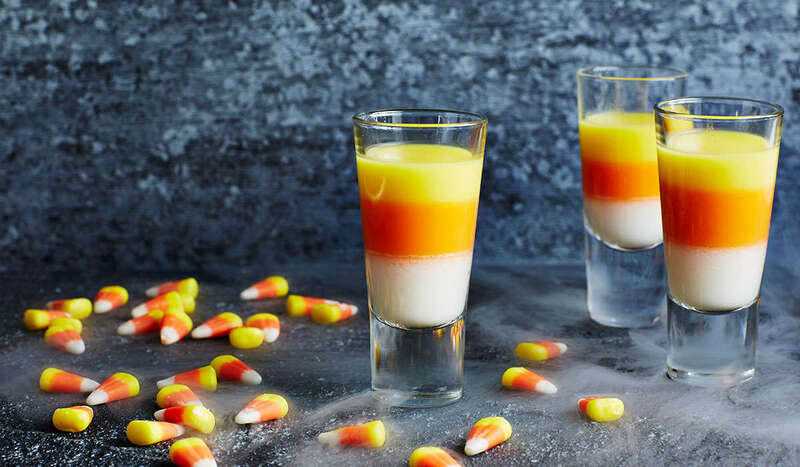 If it falls on a weeknight this year, don't worry–it's just as fun to dress up and eat spooky treats a few days before the big event! The best thing about block parties is that they bring a neighborhood together for food, fun, and fellowship. Be sure to delegate duties, like cooking, securing permits to block off the road, sending invitations, etc. Working together on the block party will not only ensure that everyone has a great time, but will also help you to get to know your neighbors better. The centerpiece of this block party is the food–delicious and just creepy enough to keep with the theme. White Chicken Stew Brew anchors the menu as a hearty main dish, while the Pumpkin Cheese Ball and Monster Eyes provide plenty for kids to snack on throughout the party. Though they'll be collecting plenty of candy on Halloween night, we've included recipes for Corny Candy Popcorn Balls and Chocolate Spiderweb Treats. 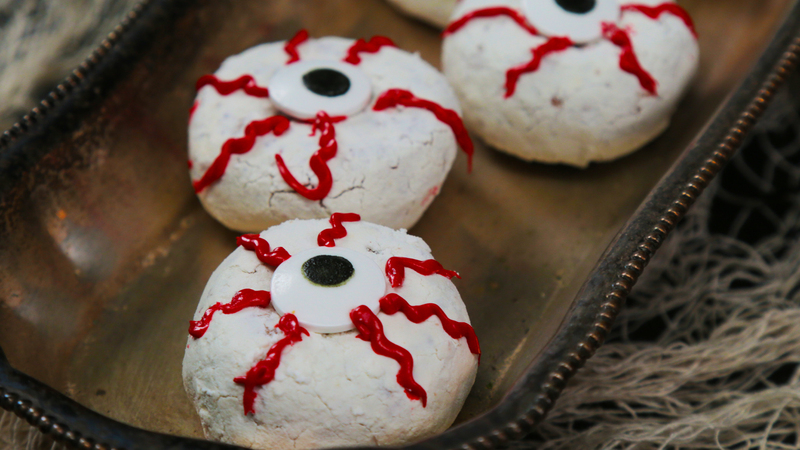 Many of the recipes have steps that kids can easily help with, so be sure to invite the little ghouls and goblins into the kitchen! While the novelty of running amok in the street is plenty fun for most kids, a costume contest adds a spark of festive Halloween fun. Create categories like most creative, funniest, best of show, and scariest. Awards can be in the form of (more) Halloween candy, decorated paper plates, printed certificates, et cetera. For more fun ideas, check out these Halloween party game suggestions.